The kind of simple advertising (offered by Google) may soon wither away, according to some analysts. In the highly competitive market of ride-sharing, Lyft has to maintain constant growth while grabbing new users’ attention in a more engaging way. The innovative pink mustache caught everybody’s eye and allowed them to standout amongst their more “traditional” competitors. But now mobile video advertising also provides them with a cool edge. 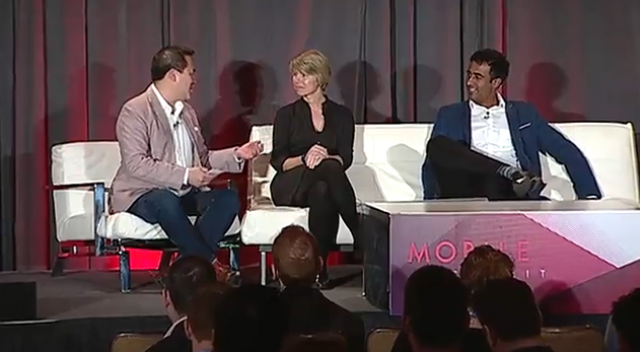 Lyft’s CMO Kira Wampler and Vungle’s CEO Zain Jaffer talk with “sharing economy” analyst Jeremiah Owyang about how to deliver reach, relevance, and richness through video advertising — while acquiring new users at the right price.